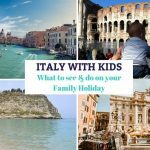 Your Italy Family Holiday: Where to go and what to see when planning to travel to Calabria with Kids. Southern Italian highlights including some of the best beaches in Italy for family holidays! 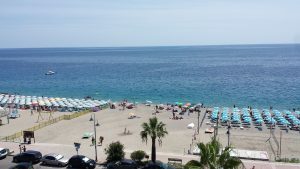 Calabria, the toe of the boot of Italy, perfect for beach lovers, nature lovers, and families travelling with kids who want to experience the “real Italy”. Unlike more of the touristic regions in the North of Italy, Calabria is often overlooked as a travel destination and for this reason is still quite untouched. Surrounded by breathtaking coastlines with some of the best beaches in Italy, and looking over to the Island of Sicily, Calabria is filled with history, culture, and offers many surprises. 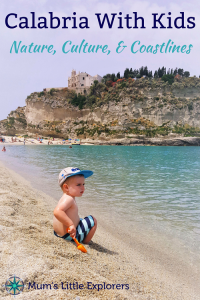 Having lived for three years with my family in the very south of Calabria, I was lucky enough to experience the Calabrian culture and beauties with my kids. If you are planning a family trip to Calabria, get ready to explore, this is some of Calabria’s best for families. While many tourists will boast about the Tuscan coastline in the north, there is nothing like the crystal clear waters on the coastline of Calabria. In fact, you won’t find water as clear as these beaches anywhere else in the country. I would probably go as far to say they are the some of the best beaches in Italy. On the west side of Calabria you have Tropea which is definitely one of my favourite Italian towns and a place I spent a lot of time with my kids. Tropea comes alive in the Summer time when the little town is at it’s peak. A gorgeous medieval town, with a stunning beach, it is probably one of the most popular Calabrian destinations. Tropeas main attraction is Santa Maria della Isola, which is a fairy tale like church that is perched on a hill by the beach with the view of the Tropea Coastline. There is a lookout at the main balcony on the edge of the town of Tropea, where you can look out to the church and over the beach, it is amazing. 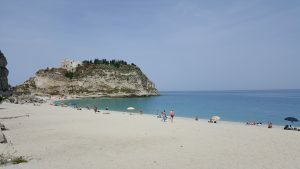 With a convenient location, close to Lamezia Airport, Tropea is a perfect stop on your Italy family holiday a must see location for families travelling Italy with kids. About half hour south of Tropea is Capo Vaticano. Unspoiled white sandy Italian beaches with views of the Stromboli volcano, the stretch of coast that makes up the cape is a must see when travelling to Calabria with the family. Walking along the white sandy beaches, or a swimming in the crystal clear water, it is hard not to be amazed by this hidden Italian gem in the middle of the southern Calabrian region. 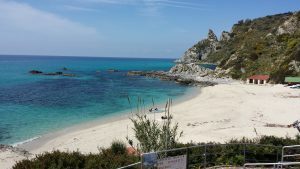 After spending many Summers in Italy with our kids at the beach at Capo Vaticano, just writing about it gets me itchy feet to go back for the European Summer! On the east side of Calabria, almost opposite Tropea and Capo Vaticano, you can find the vibrant towns of Goiosa and Roccella. Less expensive, with less international travellers, Roccella and Gioiosa are flooded with Italian tourists in the months of July and August. The streets of Goiosa come alive at night where you will find market stalls and kids activities until all hours of the night. Kids don’t go to bed early in Calabria, especially in the Summer time! It is quite normal to see Italian families walking the lungo mare at midnight. Scilla is a gorgeous little seaside fishing village with a beautiful stone beach and a breathtaking view. 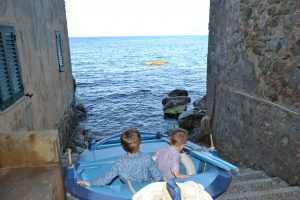 Surrounded by little restaurants and gelaterias, Scilla makes a great day out if you want to explore with the kids walking the little cobbled streets. Finish the day off with a swim, espresso and a gelato and just soak up that Italian sunshine. Scilla is located on the west coast of Calabira between Tropea and the capital Reggio Calabria. It is a popular stopover for your Italy family holiday if you are heading down south to Sicily. 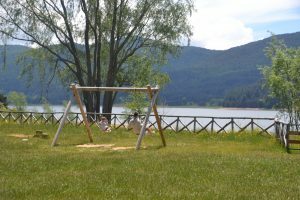 Calabria is perfect for nature loving families, and those who love the outdoors. If you are looking for a change from Italy’s beautiful beaches, the mountains aren’t far away. There are many national parks to enjoy with the kids on your Italy Family holiday. Sila is one of Calabria’s oldest national parks and has numerous little towns scattered around. 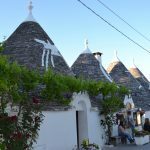 The main town is San Giovanni in Fiori which has many different types of accommodation. 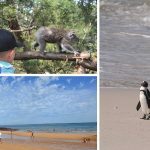 From there you can plan some family days out. 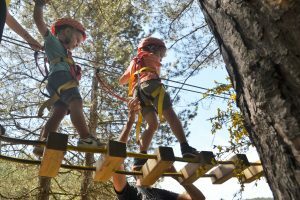 The kids will love Alberolandia which is a tree top adventure activity the whole family can enjoy. There are courses for children and adults. 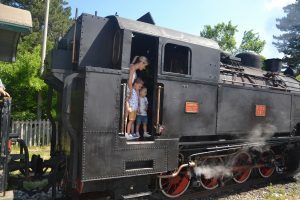 There is also the Sila steam train tour that kids will love. You can also take them to visit one of the lakes in the area. Aspromonte national park is in the south of Calabria very close to Scilla and Reggio Calabria. It is also only a short drive from each coast. 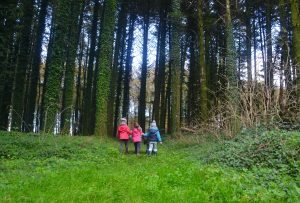 There are numerous walking trails suitable for the whole family. There are many picnic spots for lunch too. Imagine having a day in the mountains and then finishing off with the swim in the Mediterranean sea. Where else can you do that? Polino national park is in the north of Calabria. From here you can enjoy some adventure activities such as rafting and canyoning. Probably not suitable for babies and toddlers, but perfect for older kids. When we went there were children as young as five on the basic rafting trips. Reggio Calabria is the captial of the region of Calabria, right down on the toe of the boot and looks over to the Island of Sicily. A buzzing Calabrian city by the sea with the esplanade filled with restaurants, bars, cafes, and gelaterias. The main shopping strip is parallel to the seaside which is lined with colourful sculptures. From the port you can travel to Sicily, and the Aeolian Islands. An excellent stop for your Italy family holiday. Summer is definitely the time to Visit Calabria to appreciate its beauty. With the main attractions being the National parks and the stunning coastline, you want to be able to swim in the beautiful beaches. 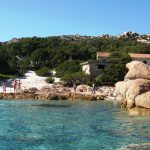 After all, they are some of the best beaches in Italy! Between May and September is when you will get warm weather, with July and August being peak. Though the Calabrian waters don’t really get too cold, so if you are there in the shoulder seasons, you could probably take a dip anyway. If you want to give your family a taste of “Real Italy”, Calabria should definitely be added to your Italy family holiday itinerary. With some of the best beaches in Italy, and untouched nature, Calabria is one of Italy’s hidden gems. Some advice from a former local though, which is perfect when travelling Italy with kids. Get ready to step back in time and take things really slow, because that’s how the Italians roll down in southern Italy. “Piano Piano” as they say, “Slowly Slowly”. For more towns and regions visit our Italy with Kids page. 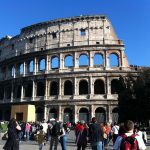 Rome With Kids – Family Friendly Things to See & Do In Italy’s Capital. IRISH CELTIC is coming to Melbourne to get your feet tapping!